SYRACUSE, N.Y. - A Syracuse author ponders methods for responding to the environmental and economic challenges of the 21st century in a new book from Lewis Publishers. Privileged Goods: Commoditization and Its Impact on Environment and Society was written by Jack P. Manno, an environmental activist who teaches at the SUNY College of Environmental Science and Forestry (ESF). 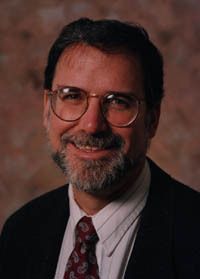 He is executive director of the Great Lakes Research Consortium, which is based on the ESF campus. The book examines the obstacles that stand in the way of resolving the world's current environmental crisis. It suggests that human beings have a propensity toward environmental destruction that results from poorly understood economic forces. Privileged Goods contends that these forces drive social and economic development toward increasing use of energy and material beyond what is needed to meet basic human needs and achieve general prosperity. Privileged Goods is part of a series of books about the connection between ecology and economics. The series is published by the International Society for Ecological Economics. The society, established in 1988, encourages attempts to integrate and synthesize many different disciplinary perspectives in order to achieve an ecologically and economically sustainable world. Manno's work is widely published. He is a contributing author to Environmental NGOs in World Politics (Routledge, 1994). Manno is active in both scientific and civic organizations. As director of the research consortium, he heads a group that focuses on scholarship and research. The consortium has 12 members, all colleges and universities in New York, and eight Canadian affiliates. Manno is also president of Great Lakes United, an environmental group that encompasses diverse interest groups, such as Greenpeace, sportsmen's organizations, and civic and environmental groups in the United States and Canada. He also sings in the Syracuse Community Choir, is active in his Westcott neighborhood and writes blessings, including one that was used on the Syracuse Cultural Workers Earth Day '95 poster. Further information on Privileged Goods is available at http://www.crcpress.com.